Obamacare research papers discuss the goals of Obamacare, which were designed to provide affordable health insurance coverage for all Americans. 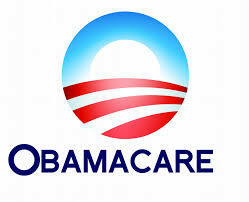 One of the biggest issues in politics and medical health in the early 21st Century is the implementation of Obamacare. Obamacare is the popular term for the Patient Protection and Affordable Care Act (PPACA), which was signed into law in March 2010 and is scheduled to be in effect by January 2014. The goals of Obamacare were designed to provide affordable health insurance coverage for all Americans, and are considered to be the most significant change in the American healthcare system since the introduction of Medicare and Medicaid in 1965. Many students have expressed the need to Paper Masters for research papers on Obamacare to be custom written for them. Obamacare research papers must include information on the issues you see below. When writing research on Obamacare, be sure to include information on moves towards a universal health care system in America which have stalled since the Truman Administration. Therefore,according to the United States Department of Labor, legislative compromise produced the PPACA, modeled after a successful insurance program launched in Massachusetts. Passed by the Congress, and upheld by the Supreme Court, Obamacare became a central issue in the 2012 Presidential election. Obamacare expands Medicare eligibility for individuals subsisting at 138% of federal poverty levels and created state-based insurance exchanges where individuals and families could purchase affordable coverage. Despite a tech-plagued rollout, the Obamacare website was working to meet the program goals by the end of 2013. Those individuals without coverage by March 31, 2014 were to be subject to a penalty, as the law requires the individual mandate in order for the program to work effectively. Despite opposition, Obamacare has the potential to revolutionize the U.S. health insurance industry. Reduction of uncompensated care and increased competition in insurance industry are important considerations. Obama's Healthcare Plan research paper examines the presidents intentions and various elements of the intended United States healthcare plan. National Infrastructure Research Papers examine Obama Administrations recent investment to assist our nation to rebuild society. Health Human Services research papers examine the cabinet department ... and numerous other health information technology and research programs. Order a research paper on Human Health Services from Paper Masters. Paper Masters writes custom research papers on Obamacare and discuss the goals of Obamacare, which were designed to provide affordable health insurance coverage for all Americans.